Without the help and encouragement from L.B. Noire (us) and Johan Högberg (se) this pages would never have left the soon-to-come stage. Thank You! We thank a lot Oliver Gößwein (de) for his help in the retrieval of the lyrics. Thanks a lot! We thank Jürgen Vanvlasselaer (be), Stéphane Werquin (be), Rik Verhaeghe (be) and Hellgium (de) for their researches in the side-projects and the gig list. We thank Jonas Johansson (se) for having scanned the booklet pictures and the video tape sticker! We thank SweetHell (br) for several corrections on the site. We thank Eike Moldenhauer (de) for corrections on the site. 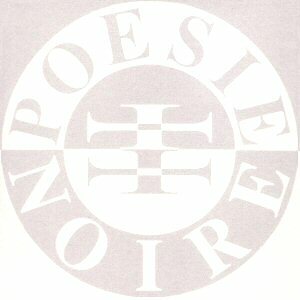 We thank Mark Foehrer (de) for his Poésie Noire discography and record sleeves. We thank Benoît (fr) for typed articles and the share of his knownlegde of the Antler's artists family. We thank Geert D. (be) for the scans of articles and promo sheets and other informations. We thank mä:c (se), webmaster of Portion Control, for the picture of the TotalBeatFactor compilation and for his kind authorization to publish it. We thank Nilson Netto Berenchtein (br) and Lars Hansson (se) for their translations of the petition. We thank Martin Olsson (se) for his help in the treasure sections (promo postcard and t-shirts pictures) and his help in the polls. We thank Kurt Vanhollebeke (be) and Piet De Smedt (be) for their repeated help in the gig list and the articles. We thank Nathan Lobbestael (be) for his help in getting informations about TBX releases and in the tickets for the gig list. We thank Rino (be) for the Eurosong Bizz 2004 videotapes. We thank Brahim Hamadi Charef (uk) for the 1991 Tour ticket. We thank Lol (fr), Jan Sundstrom (se) and Dominiek (be) for their help in the giglist. We thank Mike Mangino/Smersh (us) for the details of the TotalBeatFactor compilation. We thank Wouter Berteloot (be) for his repeated help in the gig list and the side projects. We thank Etienne "Vanke" Van Moerbeke for his help in the gig list. We thank Doktor242 for the secret message in Tetra LP. We thank Esa (se) and Daniel (de) for their researches in the FAQ. We thank Cid (aka Sepia) (br) and Tulio (br) for Brazilian articles and support. We thank Marcos Tarqno Vicente (br) for his "syntax-error" hunt in the lyrics pages. And we thank all the people of the mailing-list for keeping the Poésie Noire spirit alive!